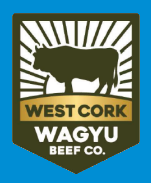 At Michael Twomey Butchers, we have made a commitment to ensure that our operations take into account the possible impact on the environment. We recognise that our operations have an impact on the environment and are therefore committed to continuous improvements in environmental performance, specifically the reduction of carbon emissions as a result of carrying out our daily business. Ensuring that all relevant Environmental Legislation and Regulation is applied. Reducing Energy Usage by Increased Energy Efficiency. Using raw materials in a manner that reduces waste. Re-using or Recycling Waste when possible. Purchasing environmentally friendly materials when appropriate. Raising the awareness of staff so that everyone may be involved. Operating the Business in an environmentally sensitive manner. Complying with all appropriate environmental legislation as a minimum of environmental performance. Identifying and reusing or recycling or reducing our general waste. Purchasing environmentally friendly materials when possible. Operating our business in an environmentally sensitive manner at all times. Where potential waste can be re-used legally and without a risk to human or animal health, the company will do so. Where waste is generated, the company will seek to recycle as much as possible using licensed contractors. Reducing our use of fossil fuels usage in the business by investigating alternative green energy sources, reducing our energy usage by increased energy efficiency, making use of established delivery routes, minimising the use of company vehicles where possible and using public transport where possible and practical. Avoiding the unnecessary use of materials hazardous to the environment and taking all reasonable steps to prevent damage where the use of such materials is essential. Working closely with suppliers and customers and to make them aware of our policy. Increase environmental awareness amongst our staff through development, training and promotion.